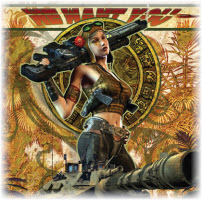 In this issue: alliances formed, swords broken, rockets launched—and a Baen bumpersticker contest! 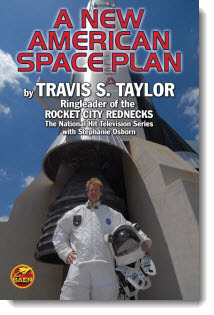 A call for a full-scale American return to space from Dr. Travis S. Taylor, celebrated Baen author and ringleader of the Rocket City Rednecks, the hit reality science and engineering series from the National Geographic Channel. Now, in laidback style, Taylor delivers the goods on how America can get back to space exploration with a dose of gumption and a return to good old American science leadership. 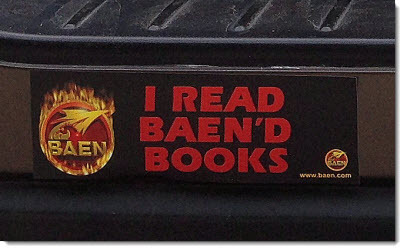 The new “I Read Baen’d Books” bumperstickers are in, and they look amazing! To celebrate, we’re giving away signed books and prizes. Place your “I Read Baen’d Books” bumpersticker in the most interesting, intriguing, amazing, amusing, and not-more-than-PG-13 spot, and win! Planet Baen celebrates the release of Captain Vorpatril’s Alliance, a new entry in the Vorkosigan Saga with special gifts, whacks, and a contest. 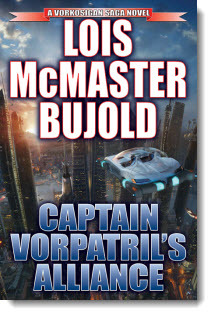 Come out and meet Lois McMaster Bujold, creator of the Miles Vorkosigan Saga, and get your copy of Captain Vorpatril’s Alliance signed by the author herself. 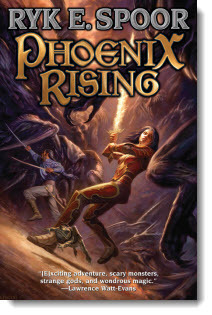 Don't forget to check out the latest Ebook releases here, and latest Baen.com free fiction from Wen Spencer, author of Elfhome, here as well as Back to the Moon author and NASA scientist Dr. Les Johnson on science fiction and changing scientific perception of the universe here.